They may not figure in the Panama Papers , nor have wads of cash stuffed under their beds and investments in benami properties. But there are other reasons why small taxpayers can get into trouble with the tax authorities. “My mother is a senior citizen and has paid all her taxes. But she still got a notice for not filing her return for 2014-15,” says Mumbai-based marketing manager Arun Kapoor. Delhi-based finance professional Varun Sahay has received a notice for not deducting TDS when he bought a flat last year. “I had no idea that I was supposed to deduct 1% of the value of the house and deposit the amount with the government on behalf of the seller,” he says. Once rare, such cases are now quite common. In recent months, the tax department has stepped up efforts to ensure tax compliance. New rules have been introduced to plug tax leaks and officials are cracking down on evasion. Tax records are being put under the scanner and notices are being sent to individuals if the computer-aided selection system notices a discrepancy. Thousands of taxpayers have already received tax notice .. This week’s cover story looks at 10 common mistakes that can fetch you a notice from the tax department. Some of these mistakes are merely calculation errors that will result in a tax demand. But some others are serious transgressions that can invite penalties of up to 300% of the unpaid tax. We tell you where taxpayers are going wrong and the correct position on the matter. We also offer smart tips to help you avoid falling foul of the tax rules. We hope you will find this information useful. Individuals who manage their taxes on their own will find it particularly helpful. This is a common mistake. Interest income from fixed deposits , recurring deposits and even tax saving bank deposits and infrastructure bonds is fully taxable. Yet, 59% of the respondents to an online survey conducted by ET Wealth believed that interest income of up to Rs 10,000 a year is tax free. Actually, the tax exemption of Rs 10,000 a year under Sec 80TTA applies only to the interest earned on the balance in a savings bank account. Another 6% of the respondents believed that no tax is payable if their bank has deducted TDS. These taxpayers don’t realise that TDS is only 10% of the income. If they fall in a higher tax slab, their liability would be higher. In our survey, almost 50% of the respondents who got this wrong have an annual income of over Rs 10 lakh. They pay 10% TDS even though they are supposed to shell out 30%. Interest income often goes unreported in tax returns. In recent years, new rules have been introduced to plug this leak. Till two years ago, TDS kicked in when the interest from deposits made in one bank branch exceeded Rs 10,000 in a financial year. Investors used to split their deposits across bank branches to avoid TDS. Now TDS applies if the combined income from deposits in all branches of a bank exceeds the threshold. What’s more, TDS also applies to recurring deposits now. In future, as banks start sharing data, TDS could be applied to deposits made across other banks as well. “The mechanism to track deposits across other banks already exists. If banks share the names and PANs of fixed deposit investors, lakhs of individuals could come in the tax net,” says M.K. Agrawal, Senior Partner, Mahesh K Agarwal & Co.
Smart tip: Calculate how much interest you will get on your FDs, RDs and other fixed income investments and add that to your income. Every time an individual switches jobs , he is in danger of falling foul of the tax laws. This is because the new employer doesn’t take into account the income earned from the previous job and offers tax exemption and deduction to the employee all over again. Instead of Rs 2.5 lakh basic exemption and Rs 1.5 lakh deduction for tax saving investments under Section 80C, he gets Rs 5 lakh basic exemption and Rs 3 lakh deduction. Obviously, he will be paying much less tax than he ought to. But this discrepancy won’t remain hidden for long and would eventually be discovered when the taxpayer files his return. The incomes in the two Form 16s would be added but he would get basic exemption and deduction only once. This also means a large tax payment at the time of filing returns because the duplicate benefits would be rolled back. The last date for paying the tax is 15 March. After this, if the unpaid tax exceeds Rs 10,000, there is a penal interest of 1% per month of delay. “The employee will have to pay the balance tax along with interest at the rate of 1% per month for delay,” says Vaibhav Sankla, Director, H&R Block. This is a common problem faced by people who switch jobs without keeping an eye on their taxes. They are saddled with a huge tax liability when they sit down to file their tax returns in June-July. Don’t think you can get away by not mentioning the income from the previous employer in your return. If some tax has been deducted on the income from the first employer, it will be reflected in your Form 26AS. So if you don’t report that income, the discrepancy will immediately get picked up by the computerised scrutiny system and you will get a tax notice. Smart tip: Inform your new employer about income from previous job so that the TDS is cut accordingly. A lot of taxpayers, especially senior citizens such as Kapoor’s mother, have received notices for not filing their tax returns. Anybody with an income above the basic exemption is liable to file his tax return. The basic exemption is Rs 2.5 lakh per year for people below 60, Rs 3 lakh for senior citizens above 60 and Rs 5 lakh for very senior citizens above 80. The rest of us , including NRIs, have to comply. Keep in mind that this is the gross income before any deductions and tax breaks. If your annual income is Rs 4.2 lakh and you invest Rs 1.5 lakh under Sec 80C, your tax will come down to zero. But you are still liable to file your tax return. Similarly, even if all your taxes are paid, you still need to file the return. For a lot of people, confusion stems from a rule introduced four years ago, where salaried individuals with an income of up to Rs 5 lakh a year were exempted from filing returns. However, that rule has long been withdrawn. “Although the regulation was applicable only to that particular financial year, many people tend to still follow it,” says Archit Gupta, Founder and CEO of Cleartax.in. Not filing returns is not a very serious offence if all your taxes are paid. You will only get a notice asking you to do the needful. The tax laws allow a taxpayer to file delayed returns even after the due date has passed. But if you have unpaid taxes, be ready to pay interest as well as a penalty of up to Rs 5,000. Smart tip: Don’t miss filing your return even if your tax is zero or all your taxes are paid. File online to avoid mistakes. The government offers generous tax benefits to those who buy houses on loans. But if the buyer turns into a seller too early, some of these benefits are rolled back. If you sell the house within five years, the tax benefits availed of under Sec 80C for the principal repayment will get reversed. This could mean a heavy tax liability if you have claimed deduction for the principal repayment of the home loan under Sec 80C. You won’t be able to keep this under wraps because the buyer may seek tax benefits on the same property. However, the deduction for the interest on the home loan under Sec 24 will not be rolled back. Similarly, if you have ended a life insurance policy within three years of purchase, any tax deduction availed on the policy will be reversed. Not many taxpayers are aware of this rule about insurance policies. “No taxpayer is so honest as to report this in his ITR and pay additional tax for the previous years,” says a chartered accountant. Smart tip: Wait for at least five years before selling a house or three years before ending a life insurance policy. As mentioned earlier, many investors try to avoid TDS by splitting their investments across different banks. Many others submit Form 15G or 15H so that their bank does not deduct TDS. These forms are declarations that the individual’s income for the year is below the taxable limit and therefore no TDS should be deducted from the interest. However, misuse of these forms is a serious offence. “A false declaration not only attracts penalty but also prosecution. The taxpayer can be sentenced to jail for terms ranging from three months to two years,” says Sudhir Kaushik, Co-founder and CFO, Taxspanner.com. This doesn’t stop people from blindly filling the forms to escape TDS. You need to meet two basic conditions to file form 15G. One, your taxable income for the year should not exceed the basic exemption of Rs 2.5 lakh. Two, the total interest received during the financial year should not exceed the basic exemption slab of Rs 2.5 lakh. “The total interest income includes interest from other sources as well, including PPF, NSCs and not just interest income from deposits,” says Sankla of H&R Block. Form 15H, which is for senior taxpayers above 60, imposes only the first condition. The final tax on the total annual income should be nil. So, senior citizens whose taxable income is below the Rs 3 lakh limit are eligible to file Form 15H. For very senior citizens above 80, this limit is Rs 5 lakh. Though this is a standard practice, and investors take it lightly, don’t assume that the Form 15G and 15H will not get noticed by the taxman. “If TDS is not deducted because the person has filed Form 15G or 15H, it is separately shown in part A1 of the Form 26AS,” cautions Gupta of Cleartax.in. Smart tip: File Forms 15G only if you fulfill both the conditions. TDS is an interim tax and you can claim a refund if you have paid more than due. Given that real estate investments involve a lot of unaccounted money, the government has extended the scope of TDS to property transactions as well. If you buy a house worth more than Rs 50 lakh, you have to deduct 1% TDS from the payment to the seller. In case the seller is an NRI , the TDS will be higher at 30%. This amount should be deposited with the government on behalf of the seller using Form 26QB. Delhibased Sahay had no idea of this rule when he bought a property in Noida last year. He now has to respond to a tax notice, and could even be slapped with a penalty of up to Rs 1 lakh. The rule is applicable even if you pay in instalments. In such cases, the TDS needs to be deducted from each payment and the money deposited with the government within seven days. While TDS deduction happens automatically when you buy a new property from a builder, in case of transactions between individuals, it is often ignored. Like Sahay, most buyers are unaware of the rule. Even if they are aware, they are not sure how to calculate the tax. “The TDS has to be calculated on the total sale price and not just the amount exceeding Rs 50 lakh. Many make this calculation error,” says Gupta. The total sale price is the amount payable and as registered in the sale agreement. It does not include stamp duty and brokerage. Also, only the sale price has to be taken into consideration, not the circle rate of the property. If a property is valued at Rs 60 lakh based on the circle rate, but gets sold for less than Rs 50 lakh, the buyer need not deduct TDS. Smart tip: Make it clear to the seller that you will be deducting 1% TDS from the payment. Make sure you have his correct PAN details. We usually don’t want to be alarmist but this is one area where taxpayers need to tread with caution. They can no longer afford to be unsure about their foreign income and assets. “There is a lot of exchange of information between countries and we will see an exponential rise in the number of notices being sent to taxpayers on this account,” says Tapati Ghose, Partner, Deloitte Haskins & Sells LLP. Mis-reporting overseas assets will not be taken lightly by the government. You could be prosecuted under the Black Money Act and the penalty can be as high as Rs 10 lakh for even small errors. Experts say taxpayers who have worked abroad often go wrong when reporting their foreign assets. “The employee stock options is often acquired at no cost or be sold out during the year and therefore get missed when you take an account of your assets. Capital assets like jewellery often skips the mind as they do not generate any income. In fact, they may have been bought only as ornaments,” says Ghose. Not just salary and perks, freelancers who receive money from foreign clients need to report this income under the foreign assets schedule. “This should also include gifts, which are deemed to be income,” says Ghose. Also, all foreign bank accounts—whether operational or not and even with a tiny balance—need to be reported. You even have to report bank accounts where you are merely a signing authority. Smart tip: Start collecting details of your foreign assets much before the last date for filing returns. It’s quite common for taxpayers to invest in the name of non-working spouses or minor children. But though gifts made to a spouse or a minor child do not attract tax, if that money is invested the income it generates is clubbed with the income of the giver and taxed accordingly. So, if you bought a house in your wife’s name, any income from that house, whether as capital gains when you sell it or as rent, will be treated as your income. Similarly, if a husband has invested in fixed deposits in the name of his wife, the interest will be taxed as his income. “It doesn’t matter whether your spouse’s income is below the basic exemption. the income from the investment will get clubbed to your income,” says ghose of deloitte. The rules are slightly different in case of investments in the name of minor children (below 18 years). The earnings are treated as the income of the parent who earns more. However, the taxman has softened the tax blow by extending an exemption of Rs 1,500 a year per child up to a maximum of two children. Parents who want to invest in the name of their children can go for tax-free options such as the Sukanya Samriddhi Yojana, PPF or tax-free bonds. Though the income will get clubbed, there will be no tax implication. Mutual funds also help bypass the clubbing provision because the tax liability is deferred indefinitely. If the child withdraws after 18, that income is his, not the parent’s. Smart tip: Invest in tax-free options in spouse’s name. Invest the income in FDs or RDs. Income is clubbed but the income from income is not. This may not be a serious offence but a taxpayer is required to mention tax-free income in his return. Tax-free income includes interest earned on PPF, tax-free bonds, life insurance policies, capital gains from stocks and equity-oriented funds and gifts from specified relatives. “Even if you are not liable to pay any tax on these incomes, all your interest income, including savings bank interest, has to be reported in the ITR,” says Gupta of Cleartax.in. The taxpayer can then claim exemption for the same. While you may not receive a notice for not mentioning tax-free income, it will certainly create an inconsistency in your return. Similarly, dividend income has to be reported in the ITR even though it is tax-free. This year’s Budget has proposed a tax on dividend income if it exceeds Rs 10 lakh. The new rule will impact HNIs who use dividend stripping strategies to earn tax-free income. Smart tip: Mention all tax-free income in your ITR but claim exemption for it under various sections. We all know that reckless spending is not good for our financial health . But few people realise that spending too much can also lead to a tax notice. If your expenses or cash withdrawals exceed certain limits, your credit card company and your bank are supposed to report that to the tax department. If these expenses are much beyond your reported income, the income tax department may send you a notice or pick up your case for scrutiny. 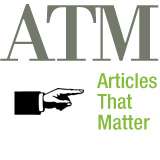 “If cash transactions, including ATM withdrawals, exceed Rs 50 lakh in a year, a bank is supposed to report it,” says Minal Agarwal, Chartered Accountant and Partner, Mahesh K Agarwal & Company. Similarly, if investments by an individual cross certain thresholds, mutual funds, banks and brokerages are supposed to inform the tax department. If you invest more than Rs 1 lakh in stocks, your broker will squeal on you. Invest over Rs 2 lakh in a mutual fund and your name gets into a list of high-value investors. Buy bonds worth over Rs 5 lakh and you get noticed. Even the purchase of gold, which was till now a safe haven for unaccounted money, will require your PAN card details. If these purchases and investments don’t match your reported income, be ready for a tax notice. “The government is gradually getting to know all aspects of the individual’s financial life,” says Agarwal. Smart tip: Avoid cash transactions as far as possible. If depositing cash in bank account, keep record of source of cash. The first thing to do when you get a notice from the tax department is not to panic. Many notices are simply tax demands or for non-filing that can be dealt without a fuss. Only a scrutiny or reassessment notice is reason for worry. In such matters it is best to take the help of a qualified professional who knows how to respond to the notice. “Engaging a specialist would push up the compliance cost but it would ensure that the matter is skillfully handled. A chartered accountant would be better equipped to handle the situation and provide apt responses,” says a tax expert. A new online tool launched by tax filing portal Cleartax.in will be useful here. If you have got a tax notice, the portal will help you resolve the case free of cost. All you have to do is quote your PAN number and upload the PDF file of the tax notice. The tax experts of Cleartax will examine the case and send you an e-mail within 1-2 hours explaining the steps you need to take. If the notice relates to common issues such as TDS claims, non-filing of tax returns or verification of documents, the issue will be resolved within a day’s time. “More complex issues will have to be examined in detail and handled personally,” says Archit Gupta, Founder and CEO, ClearTax.in. If you need the further support from the site, you may have to shell out an advisory fee ranging from Rs 800 to Rs 1,600 depending on the complexity of the case. Of late, the I-T department have been tightening their scrutiny and sending notices to taxpayers for a plethora of reasons. Apart from due taxes and penalties, the fines for not responding to these tax notices can be as as high as Rs 10,000. The next time you get an email from the Income Tax (I-T) department stating that it wants to refund you some money, don’t be delighted — be cautious. In all likelihood it would be from cyber criminals trying to trick you into revealing your bank details. Taking a note of such cyber frauds, the I-T department have sought help from the country’s premier cyber security agency, Indian Computer Emergency Response Team (CERT-In), to block these hackers lurking in the e-world. The department is particularly worried after taxpayers recently brought to its notice certain emails which have very cleverly spoofed the department’s identity by using almost resembling addresses to cheat gullible taxpayers. Email spoofing helps them change their email address to any that they wish. In some cases, victims received emails even from the noreply@incometaxindia.gov.in. “There’s a rise in such emails lately and they are often sent during the tax filing months,” said Amit Jaju, executive director, fraud investigation and dispute services, EY India. He explains, the victims usually receive an email that informs individuals of an unclaimed refund. It, then, asks the person to click on a link to verify his details and processing of the fund. Once the person clicks on the link, he is taken to a website that looks like it belongs to his bank. An HDFC Bank or an SBI Bank customer will be taken to the respective fake websites. “Surprisingly, in many cases, people are taken to the actual bank they use. This means, the fraudsters have a database of target’s email address and the bank account,” says Jaju. In some cases, when the person clicks on the link, he is taken to a fake I-T website that’s identical to the original, according to Saloni Verma, associate director, IT security, risk advisory, BDO India. Gullible taxpayers end up giving all their bank account details. You can also receive a fake I-T notice asking to pay up outstanding tax demand and be redirected to the fake I-T website. But, recognising such fraudulent emails is not difficult. You just need to be alert. The first thing to look at is the email address, according to Jayant Saran, partner and national leader for forensic technology at Deloitte India. He explains the email might seem to be originating from incometaxindia.gov.in but many service providers, such as Gmail, inform the user if it actually originates from this website or not. You will see that such emails will have ‘via’ right after the email address and then the name of the server. This means that the email was sent via another mail service. “Never download file attached in such emails as it can also install malicious software,” says Saran. If you happen to the link provided in the email, which takes you to the fake website of the bank or I-T department, check the address of the website. It will not be the same as your bank’s or I-T department’s. Whenever you are transacting online, check if the address starts with HTTPS rather than HTTP and should have a closed lock sign. This means that the website is secure and verified. The best way to cut risk is to use a licensed antivirus software. Bank account details should never be sent through an email and one should contact the respective organisation in case of any such requests. There are even provisions to report the phishing attempts at organisation’s websites such as the I-T department website. ATM :: How to maintain safe distance from the IT Department! Do you want to keep an arm’s length distance from the Income Tax Department? Obviously the answer is Yes!! But the question here is How! Making credit card payments of more than Rs.2lacs p.a. Next question which may strike us, is how does the Income Tax Personnel get to know about all these activities. To keep an eye on such high value transactions of tax payers, the IT department has developed a statement of financial transactions called Annual Information Report (AIR). On the basis of this AIR, the department shortlists their targets and further sends them a notice. What do you mean by Annual Information Report? AIR of high value transactions is required to be furnished under section 285BA of the Income Tax Act 1961, by ‘specified persons’ in respect of ‘specified transactions’ registered or recorded by them during the financial year. Who provides the high value transaction information to prepare the AIR? The assesse can trace his/her high value transactions reported under AIR, in their 26AS Report under AIR section. Any transaction of the assesse which has been categorised as High Value Transaction, will be reflected therein. In the end, one last question which everyone might have. How to avoid receiving a notice from the IT department. The most important step is to file your income tax returns on time and file them correctly. Disclose all your Taxable as well as Exempt income under the right head. With the income tax department allowing ample time for filing returns, many taxpayers take it easy. For the income earned in the past financial year (FY16), a taxpayer can file returns up to March 2018. However, sticking to the first deadline of July 31 has its benefits. Say, you make a mistake while filing returns — it can be a wrong computation or incorrect bank account details. If you file returns on time, the income tax (I-T) department will allow you to revise it as many times as you wish until the end of the assessment year. In case of belated filing, the taxpayer loses this advantage. “Not being able to revise returns can lead to problems. For example, in case of wrong computation, the department can send a notice. Incorrect bank account details can delay refunds,” says Vikram Ramchand, founder, Makemyreturns.com. Missing the first deadline also means that the taxpayer cannot carry forward certain losses. The Income Tax Act allows individuals to carry forward losses under the ‘capital gains’ head and also business losses for professionals and businesspersons. These can be adjusted against the future gains for up to eight years. Due to the correction in stock market in the last financial year, many investors would have suffered a loss in their equity trade. Filing returns on time can help them utilise these losses in the coming years. “The only loss that’s allowed to be carry forward for latecomers is the loss from house property,” says Ramchand. This is the deduction that a person gets on the interest portion of a home loan under Section 24. Though the deduction can be claimed in the subsequent year, the total limit for deduction will remain Rs 2 lakh for first-time home buyers. In case of a house property that’s not self-occupied, the entire interest can be claimed as deduction. For those filing belated returns, they will also need to shell out a penalty. There will be a one per cent penalty every month under Section 234A on the liability if the return is not filed on time, according to Kuldip Kumar, partner and leader (personal tax) at PwC India. Professionals and businesspersons will also need to pay one per cent penal interest per month under Section 234B, if 90 per cent of the tax is not paid by March 31. If you don’t file returns at all, there are provisions in the I-T Act that say if the tax due is more than Rs 3,000, the taxpayer can be prosecuted and jailed. Ramchand says that in his experience, he has also seen that those who file returns on time get faster refunds and their filing is processed quickly, too. Last year, many taxpayers who filed before the deadline got refunds within a fortnight, according to Ramchand. However, in case of belated filing, the processing and returns are both delayed – it can easily take six to eight months. Also, those filing belated returns usually see that their refund amount is adjusted against some pending tax demand of the past, according to tax experts. Although this is not a rule, tax experts say such cases of adjustments are higher for those filing belated returns. PwC’s Kumar points out that in the recent Union Budget, the period of filing returns has been reduced from two years to one year. Taxpayers will need to file returns before the end of the relevant assessment year. This will apply from the next assessment year. Tax experts, therefore, say one should start filing returns on time to avoid hassles later. Taxpayers with limited tax knowledge are bound to panic, but instead of panicking the right course of action should be to understand the reason for the notice and act accordingly. The most common coffee discussion these days is about Income Tax Notices, it seems the IT department is in love with sending tax notices to tax payers for host of reasons, which were never heard off in past. Usually notices sent are in relation to issues in the income tax returns filed. Notices can also be for initiating scrutiny or for opening of assessment of past years. In this article we will discuss about different notices that may be served to small business and startups. To furnish a return of his income or the income of any other person in respect of which he is assessable, where he has not filed his return of income within the normal time allowed or before the end of the relevant assessment year. To produce or cause to be produced accounts or documents which the AO may require for the purpose of making an assessment under the Act. To furnish in writing any information on any point of matter including statement of the assessee Compliance with this notice u/s 142(1) is mandatory even if the tax payer is of the opinion that the accounts/documents requested are irrelevant. The tax and interest, if any, would be computed on the basis of the total income computed, and the amount of refund due to the taxpayer would be determined. In case where no sum is payable or refundable and where no adjustment has been made, the acknowledgment of the return shall be deemed to be the intimation and no further intimation shall be sent. 3.Notice under section 143(2):- Regular Assessment This is a service of notice for regular assessment.. It is mandatory for carrying out scrutiny assessment. It can be served only if a return has been filed. It has to be served within the time limit of 6 months from the end of the Financial Year in which return of income is filed. It requires the assessee or his representative to be present before the AO on the desired day and time. 4. Notice under section 156 :- Notice of Demand Where any tax, interest, penalty, fine or any other sum is payable in consequence of any order passed, the AO shall serve upon the assessee a notice of demand, specifying the sum so payable. The tax so demanded is payable, generally within 30days of the service of notice of demand, which may be reduced by the AO with prior approval of JCIT. In case of delay in payment of tax, the assessee shall be deemed to be in default and liable to pay simple interest u/s 220 (2) @ 1% for every month or part thereof from the end of the period allowed u/s 156, further penalty u/s 221(1) may be imposed. 5. Notice under section 139(9):- Defective return If the AO considers that the return filed by the assessee is defective, he may intimate the defect to the assessee and give him an opportunity to rectify the defect within 15days from the date of such intimation or within such extended period as may be allowed by the AO. If the defect is not rectified within the aforesaid period, the return shall be considered as an invalid return and accordingly the assessee will be deemed to have furnished no return. 6. Notice under section 245:- Set off of refunds against tax remaining payable Where under any of the provisions of this Act, a refund is found to be due to any person, in lieu of payment of the refunded or any part of that amount, against the sum, if any, remaining payable under the Act by the person to whom the refund is due, after giving an intimation in writing to such person of the action proposed to be taken under this section. Let say Mr. X filed his return of income for A.Y.2011 – 12 and the tax payable is Rs. 1000. Mr. X is unaware of this outstanding demand. Mr. X has filed his income tax return for A.Y.2012-13 and the refund is due to him Rs. 5000. Now while processing the income tax refund of Rs.5000 to Mr. X, the income tax department deducts the tax payable which is outstanding for A.Y. 2011-12 and will play the remaining Rs. 4000 to the assessee. But the department can do so, only after intimate the same to the assessee by giving intimation u/s 245. 7. Notice under section 147:- Income escaping assessment If the AO has reason to believe that any income chargeable to tax has escaped assessments, he may assess or reassess such income, other than the income involving matters which are the subject matter of any appeal, reference or revision, which is chargeable to tax and has escaped assessment. To initiate proceedings under 147 the AO is required to have a reason. This tangible reason should give him a belief that there is income which has expected assessment. The Supreme Court has clarified that the act nowhere states that the belief should ultimately culminate into escaped income in order to be valid reason. To conclude – Getting notices are common these days and needs to be handled with proper care so that we don’t have any further problems. Startups should look to engage professional expert in this field so that they do not miss out anything and the matter can be handled with utmost care as these can be a barrier for growth of startup businesses.